If you have ever experienced problems viewing the time on your analog watch, squinting your eyes to see the time. 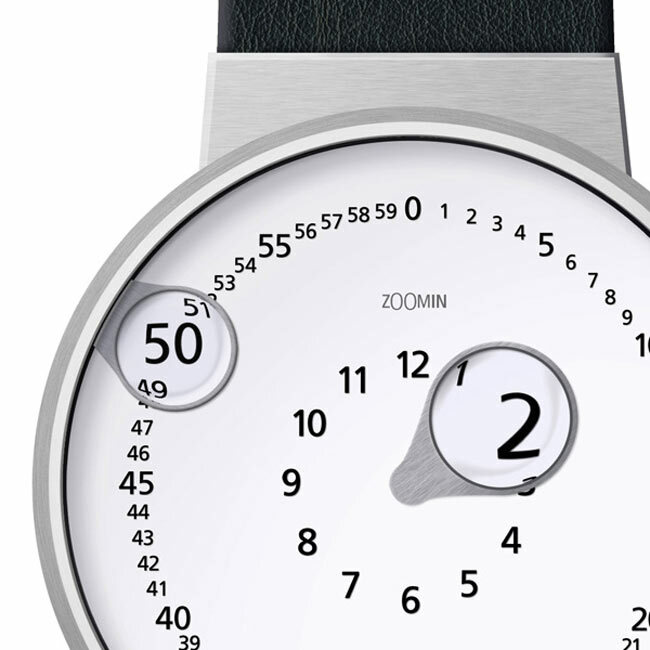 The Zoomin Watch concept could definitely help you out. The concept is simple yet very very innovative and uses small magnifiers similar to the ones you would find over the days date on an analog watch face to help reveal the time with ease. Minutes are located on the outside and hours on the inside with magnifying hands on each. The Zoomin Watch Concept has been designed by Gennady Martynov & Emre Cetinkoprulu.